Steven Harold Braun, 51, passed away Monday, August 6, 2007 at Sanford Foundation Cottage in Sioux Falls. He was born on March 11, 1956 in Sibley, Iowa to Harold and Louetta (Cassens) Braun. He attended school in Rock Rapids and graduated from Central Lyon High School in 1975. He then enlisted in the United States Air Force. Steve married Laurie Van Dam on December 26, 1981 at St. Joseph Cathedral in Sioux Falls. 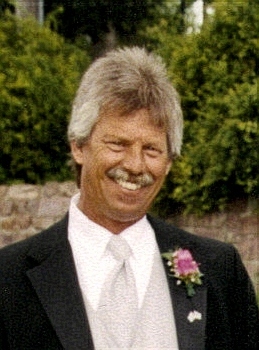 That same year, Steve began his trucking career with Consolidated Freightways and continued with various companies until the time of his illness. Steve enjoyed camping and fishing with his family as well as hunting and playing golf. Steve is survived by his wife: Laurie, Sioux Falls; son: Jesse; and daughter: Erica, both still at home; parents: Harold and Louetta Braun, Rock Rapids, IA; brother: Doug Braun, Phoenix, AZ; sisters: Peggy Feltman, Sioux Falls, SD, and Beverly Vandeweerd, Rock Rapids, IA; among numerous family and friends. Their son Casey precedes him in death. Visitation will be Thursday from 2 PM to 6 PM at Barnett-Lewis Funeral Home. Visitation will resume at 6:30 PM at St. Michael Church with a Scripture Vigil at 7:30 PM. Mass of Christian Burial will be Friday, 10 AM at St. Michael Church with burial to follow at St. Michael Cemetery with Full Military Rites by VFW Post #628.